Rich Harwood teaches and inspires people to solve our pressing problems and change how communities work together. The Institute’s impact is a result of his decades-long effort to develop a toolset for empowering self-guided community change and increasing civic engagement. His work is actively used across the globe and has helped transform communities here in the United States. Habiba Belguedj recently joined The Harwood Institute as a Project Coordinator following her most recent position as an Executive Program Assistant at The Campaign for Grade-Level Reading where she worked for two years. In her professional career, she has worked in administration, customer service, child development, education, the non-profit and social sector. She holds a master’s degree in Psychoanalysis from Paris 8: The University of Vincennes-Saint Denis and a master’s degree in International Relations from the American University of Paris with a focus on social integration for child refugees. Over the years, Habiba has accumulated valuable experience in working directly with people in diverse communities, in academic as well as professional settings. As a complement to the many skills she has acquired, she is now responsible for tracking and guiding the execution of work across multiple projects at The Harwood Institute. She will also serve as a key liaison for staff and partners. Habiba's true passion is learning about other cultures through traveling, language, dancing, and trying different cuisines. Born in Algeria, her favorite culture is her own and she visits every chance she gets. In her spare time, you'll find her babysitting or binge-watching Turkish soap operas. Colleen joins The Harwood Institute after serving as the Northeast Regional Outreach Director at the U.S. Global Leadership Coalition. In this role, Colleen expanded and strengthened the the USGLC's network of businesses, political, civic, faith-based, academic, and military leaders. She also advocated to protect U.S. development and diplomacy programs. Prior to joining the USGLC, Colleen worked as the Manager of Field Operations at the Business-Industry Political Action Committee where she built and fostered strategic relationships with leading state business organizations and supported their advocacy efforts. Colleen also worked as a legislative intern in the Capitol Hill office of then-Senator John Kerry and in the district office of former Congresswoman Kathy Hochul. A proud native of Buffalo, N.Y., Colleen graduated from the College of the Holy Cross with a B.A. in Political Science. Damien is a passionate advocate and thought-leader committed to strengthening communities and building a fairer, more equitable society. He is a former executive director and COO of the Southern Christian Leadership Conference, co-founded by Dr. Martin Luther King, Jr., where, among other issues, he focused on matters of scale across the organization's national network. At the local level, he served as executive director of an education equity effort which sought to engage and empower parents, youth, and residents to improve Bridgeport, Connecticut, public schools through campaigns, advocacy and diverse forms of direct actions. Damien has a strong understanding of how change unfolds in communities and what it takes to deliver programs, services and supports in a way that delivers results and allows for scaling. In 2013, Damien was honored with the Emancipation of Capital Award for his strategic and programmatic work around building coalitions to address socio-economic inequity in the United States. Damien's civil rights and intellectual commitments have guided his leadership of, and participation in, change efforts at the intersection of education, politics, gender equity, race and religion. For nearly five years, Damien served as a teaching associate and instructor at Emory University where he led courses in African American Studies, Religion and Theology. Damien is a graduate of Ramapo College of New Jersey, where he earned a Bachelor of Arts in Political Science and minored in Africana Studies and Music. He earned a Master of Divinity from Princeton Theological Seminary, receiving a Certificate in Women’s Studies and a Certificate in Black Church. Damien earned a Master of Theology from Emory University in 2010 -- where his work focused on womanist politics and religious expression. In 2014, Damien received a Certificate in Kingian Nonviolent Conflict Reconciliation from the University of Rhode Island, Center for Nonviolence and Peace Studies. Paige supports The Harwood Institute’s Network Engagement team by providing expertise on the organization’s digital communication platforms. She commands the Institute’s social media platforms while also helping guide the framing and narrative of Rich Harwood and The Harwood Institute. Paige is a graduate of Cornell University, where she majored in Linguistics and completed minors in Law & Society, Inequality Studies, and Policy Analysis & Management. She played on the Women’s Varsity Soccer team at Cornell and was a member of several student athlete leadership organizations on campus. She comes to The Harwood Institute having worked for several local non-profit organizations based around economic equity and housing rights. Paige is a Maryland native and enjoys reading, movies, and live music. Paul joins the Harwood team as Manager of Accounting and Human Resources. He was drawn to The Harwood Institute for its mission, specifically the extensive work in communities to affect positive change, and solve problems. He comes to The Harwood Institute having previously worked at EveryoneOn, as their operations and finance manager. Paul attended the University of Virginia, where he studied business management and graduated in the class of 2003. Paul took part in student government and volunteered with the Virginia Cavaliers athletics program, as an athletic trainer. Outside of work, Paul loves to volunteer. He’s on the board of directors for Stonewall Sports, Inc (as well as the national kickball representative). 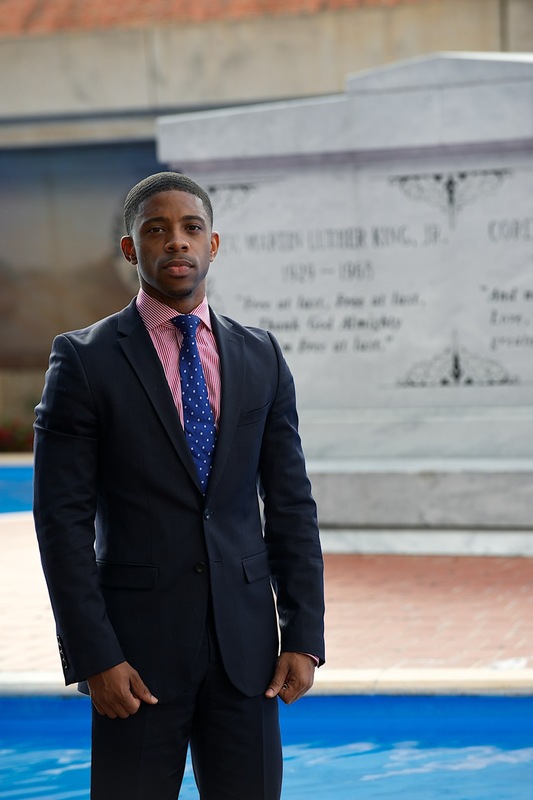 He’s also on the board and serves as the social media manager for Party 4 A Purpose DC, which works to raise funds for homeless youth in the metropolitan DC area. Lastly, he is on the board of directors for Gay Kickball USA, and serves as their chief financial officer. He devotes his time to these causes because they create safe spaces for people to live their lives, grow their communities, and better themselves - the things that are most important to him. Aside from that, he enjoys spending time with his close friends. Rickkay L.T. King is a new Studio Associate with the Harwood Institute. Born and raised in Chicago, IL, Rickkay’s interest surround Male Studies, Mental Health Awareness and promoting International Education. As a Studio Associate with the Harwood Institute Rickkay is eager to utilize his previous work with disadvantaged communities and sharpened research skills, gained from his ongoing education, to assist with the institutes long standing history of community development. As the President and CEO of The Now Boarding Corporation, a non-profit organization he founded in 2015, Rickkay promotes the importance of studying abroad to minority males. As an avid traveler Rickkay understands the importance of cross-cultural learning and is adamant on utilizing his knowledge to help create and influence the next generation of global leaders. Prior to his recent relocation to the DMV area he lived in Los Angeles, CA for six years, where he started his non-profit organization and simultaneously worked at a residential treatment center for teens. He has an extensive history with youth development and non-profit organizations and is excited to expand his knowledge and skill set while serving at the Harwood Institute. Rickkay earned a Bachelor of Arts in Psychology from Roosevelt University in 2011. He obtained a Master of Arts in Psychology from Pepperdine University in 2015 and is currently pursuing a Doctorate in Global Leadership &amp; Change at Pepperdine University. Rickkay’s hobbies include traveling, reading and mentoring. Janice is a Studio Associate at the Harwood Institute, eager to draw upon her interest in the role a community can play to advance racial equity and listen to and learn from historically marginalized voices. Janice has over a decade of experience as a human rights advocate. As a legal researcher for several Members of Parliament in the British House of Commons, she wrote reports, speeches, and press releases on issues of human trafficking and extraordinary rendition, including drafting legislation to implement the UK's Anti-Slavery Day. She has authored and contributed to several manuals and position papers on compensation for survivors of human trafficking under UK law and legal reforms to provide greater accountability of the intelligence community on the use of torture. Most recently, she worked as a Development Director at Casa Chirilagua, a community-based organization that partners with the Latino immigrant community to strengthen families. Her private sector experience includes working as a litigation associate for a large law firm in Chicago. Janice received a BA from Yale University and a JD from The George Washington University Law School. Born and raised in the Midwest, Miranda possesses a diverse background in rural public engagement and community development. With a passion for bringing voice to the voiceless, she strives to help communities develop systemic policy and programming solutions around issues of food justice and socioeconomic disenfranchisement. A Mitchell Scholar, Miranda joins the Harwood Institute after a year in Ireland studying international, community-based responses to food insecurity. She is a co-founder and former Director of Research and Communications at Live Well Geary County, a nonprofit dedicated to alleviating the health and social detriments of rural poverty. In 2016 - at 23 years old - Miranda was elected to serve as Chair of the Junction City Food Policy Council. In this role, she helped the Kansas community examine opportunities to make the food system more accessible to all citizens. Prior to her work abroad and in Kansas, Miranda served as Director of Food4Thought - a Nebraska-based nonprofit which provides weekend meals to low-income families of elementary students. As Special Assistant to Rich Harwood, Miranda supports the founder and president in all aspects of research and development. Centered around questions of the Institute’s 30-year history, ideas, impact, and methods of community change, Miranda manages the Harwood Studio on Community, facilitates research initiatives, and drives institute partnerships. Miranda holds an MS in Social Policy from the University College Cork (Ireland), an MA in Communication Studies and Public Engagement from Kansas State University - where she worked as a public speaking instructor and research assistant for the Center for Engagement and Community Development - and a BA in Sociology and Communication Studies from Hastings College. At Hastings, she competed for the college’s nationally-ranked speech and debate team. In her spare time, you can find Miranda out for a run, participating in community theater productions, or binge-watching Parks and Recreation.